Concrete Cutting Woodville services are best provided by Earth Diggers. Highly trained professionals are used for handling the machine that gives ultimate precision in the work. There are certain strategies adopted by our specialists to complete the work in lesser time. We have a strong reputation in meeting the deadlines of each project we undertake. 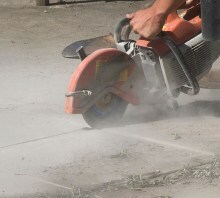 A modification or cutting of concrete brings in a lot of noise generally. We have machines that minimises the sound by channeling the pressure points in a way that the work is done without much noise. The machines have attached waste removal systems that clean up a particular area without any sign of the ongoing cutting service.